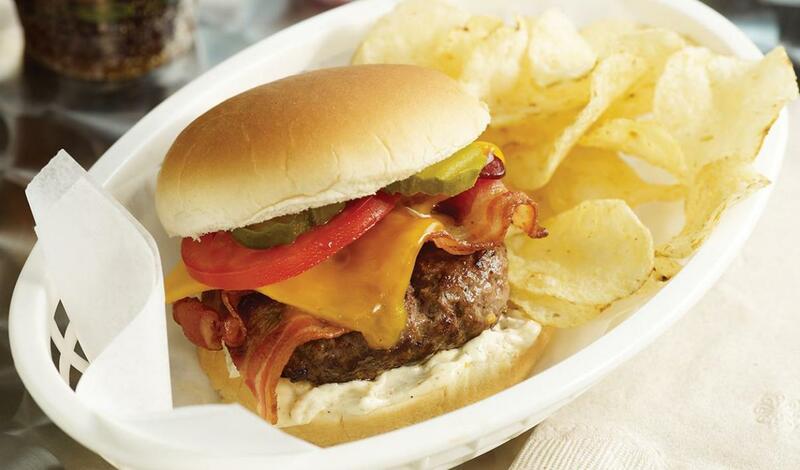 Bacon, cheddar and spicy mayonnaise make this burger recipe a masterpiece. Combine ground beef, seasoning mix and worcestershire sauce. Form into 10 patties. Grill or fry to desired doneness. Top burgers with bacon slices and cheese. Spread bun evenly with Spicy Mayonnaise and build burger with remaining ingredients.